My Fiancé, daughter and I just moved here beginning of February and we love it! It’s so quiet, neighbors are friendly, and staff is amazing! Amber O., we strive for 100% satisfaction, and it is great to see you had such a positive experience at Wakefield Glen. Please let us know if there is anything else we can do for you; we are more than happy to help! Shaleka E., thank you for your kind review; we are happy to pass along your comments to the team here at Wakefield Glen! Thank you so much again for your feedback! We hope you have a great day! A nice quiet community. Staff is very attentive and works hard to keep everything looking and running good. Amenities are in line with about any other place you are going to find. We appreciate your positive review about your recent experience with us! If you ever need anything else from us, please feel free to give us a call or stop by. Have an awesome day! Great place to live and in an excellent location but the walls and ceiling seems to be paper thin. I can hear the movement from my upstairs neighbors all the time. I like the other residence. It is a family environment, and enjoy being able to use the gym at my convenience. It's really nice that I can go up the road to eat, or shop too. Thank you for the positive review! We love that you're enjoying your residency with us. Please let us know if you need anything else. We appreciate your residency! beautiful place, lay out outdoor and great space inside the apartment. Great location with all shopping close by that you need. Easy quick access to highway. enjoying my place a lot. Thank you for the positive review! We appreciate your residency and hope you have an awesome day! I like the location's ease of getting places; the people I have met are friendly and the office staff always helpful. The repairs and upgrading of the buildings is a positive move. Hi Barbara C., thank you so much for your positive comments about Wakefield Glen! If you ever need anything else from us, please feel free to give us a call or stop by. Have an awesome day! Love the location. All the staff here has been very professional and highly knowledgeable about the community. They helped us in our time of need. Thank you so much for the positive review. We are so glad to call you residents here at Wakefield Glen. Let us know if you need anything else! Have a wonderful day! Thank you so much for the positive review! We are so glad to have you as residents here. Please let us know if you have any other needs! Have a great day. I only been here less than a month so far. My experience has been good. Very nice community and quiet . The front office has events for residents every month. Leah, Thank you for the positive review! We are so glad you are now a resident at Wakefield Glen. Please let us know if we can do anything for you. Have a great day! Great neighborhood to take walks. Mature trees, sidewalks and plenty of different routes to take. There are also bike lanes so it is safe to ride around. Thank you for positive words about the feel and look of our community! We are so glad you are a resident here. If you need anything, please don't hesitate to reach out. Have a fantastic day! I have loved how easy the moving in process has been! The leasing office was amazing when helping us find the right home! The ammenities that are offered are great! Erin, Thank you for the positive review! 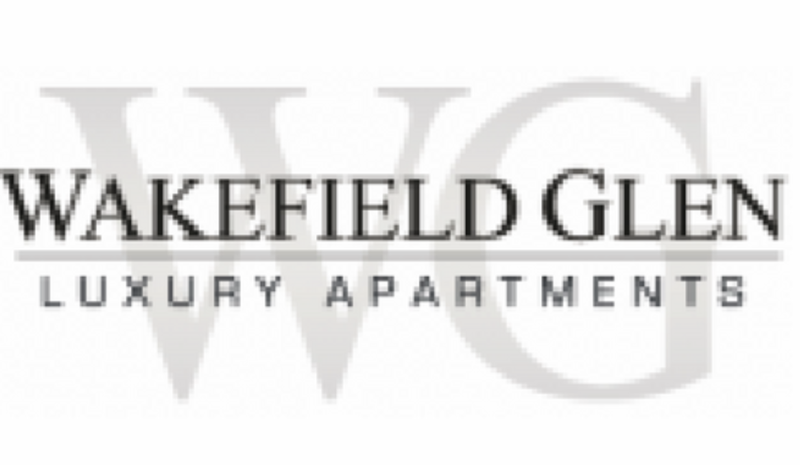 We strive for excellence here at Wakefield Glen and are so happy to hear that your transition has been a smooth one. Please let us know if you need anything further and welcome to Wakefield Glen! We appreciate all reviews, and appreciate you giving us the chance to improve by providing us with this feedback. We are striving to make improvements on the property and we apologize for the inconvenience with the exterior painting and upgrades. Rest assured these are almost complete on the property. If you ever need anything else from us, please feel free to give us a call or stop by. Have an awesome day! Nice community overall. Some issues with residents not picking up after dogs and cigarette smoke smell coming in from balcony areas to living areas. Julee W., thank you for your kind review; we are happy to pass along your comments to the team here at Wakefield Glen! We will be rolling out a new program that will help the pet waste issue. If you ever need anything else from us, please feel free to give us a call or stop by. Have an awesome day! I love that the area is quiet. There isn't a lot of kids being loud and running into the street. Whenever I need something fixed, it's fixed within a day or two. If it can't be fixed right away, the office communicates that with me. I love the activities they plan. It's a great way to meet those in the community. Asia T., thank you for your kind review; we are happy to pass along your comments to the team here at Wakefield Glen! We are always more than happy to assist you if anything else comes up. Take care! Thank you for the positive review! We are so happy you moved here. Please let us know if you have any questions or needs. Have an awesome day! We are overall happy living here especially under new management. They promptly fix things that need fixed and are starting to over events at the clubhouse. Heather G., we strive for 100% satisfaction, and it is great to see you are having such a positive experience at Wakefield Glen. If you ever need anything else from us, please feel free to give us a call or stop by. Have an awesome day! I can't complain, so far so good and quieter than most places I'm used to. The staff is wonderful and willing to help wherever needed. The location is very convenient to what my husband and I were looking for, and I might add that we are not disappointed! Thank you for the positive review Gloria! We are so glad you are part of the Wakefield Glen Community. Please let us know if you need anything else from us. Have a wonderful day!!! Nice quiet and convenient. The on going upgrades to the buildings shows ownership cares about the residents. Maintenance requests and handled quickly and staff are always polite. So far so good. One year down. More to come. The staff has been great and my neighbors are fantastic. Happy people sharing happy memories. The pool has never let us down and we are happy to renew the lease for FY2019. Hi Steven V., thank you so much for your positive comments about Wakefield Glen! Please let us know if there is anything else we can do for you; we are more than happy to help! Have a great day and thank you for renewing with us! Good process all around. Easy to tour, prompt responses, user friendly interface online. Quiet and private setting. Well maintained and clean. Thank you so much for your positive review! We appreciate it greatly. Please let us know how we can help to keep your residency here a positive experience. Welcome to Wakefield Glen! It is a great place to live. It is supremely quiet, your manager strives to keep the community in the best condition. We appreciate your environment very much, and the cost benefit is still proportional. Thank you so very much for your positive review. I will be happy to pass the comments along to our team. Please let us know if there's anything else we can do for you. Have a great day! It has been a wonderful experience... all the staff have been super helpful and we have the best neighbors! Really enjoy it here and would recommend to others. Hi Sarah S., thank you so much for your positive comments about Wakefield Glen! We are always more than happy to assist you if anything else comes up. Take care! I have nothing but great things to say about the staff and maintenance crew. This community is really starting to feel like one big family, things are getting done in a timely matter and the upgrades look amazing. Great job!!! Elvis , we strive for 100% satisfaction, and it is great to see you're having such a positive experience at Wakefield Glen. If you ever need anything else from us, please feel free to give us a call or stop by. Have an awesome day! I have not officially moved in, everything seems so exciting. I will update once I've moved in. My drive by and research seems like an amazing friend to live. Thank you for the kind review! We are looking forward to having you as a new resident. Please let us know if you need anything before your move in. Have a great day!